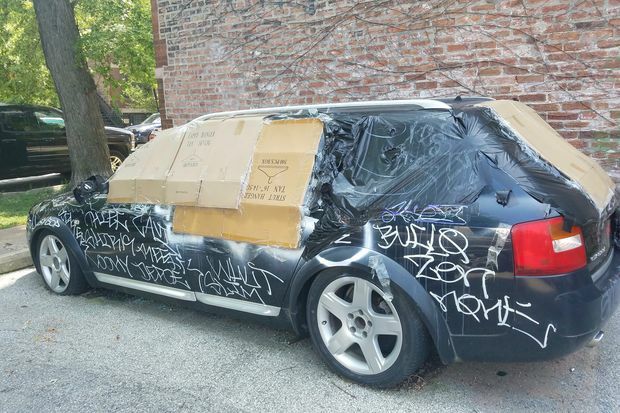 WICKER PARK — A car has been parked in a private outdoor lot around the corner from Wicker Park for almost two years — and things are not going so well for the now-vandalized Audi Allroad. The car's owner left the country to help an ailing parent for what was expected to be a short trip, but the visit ended up lasting much longer, according to Hollywood Cleaners owner Phil Raimondi, who operates the small parking lot behind the dry cleaners at 1438 N. Milwaukee Ave.
"I don't want to tow it. [The owner of the car] is aware of it and is supposed to be coming back next week. Everyone thinks it's abandoned," said Raimondi. 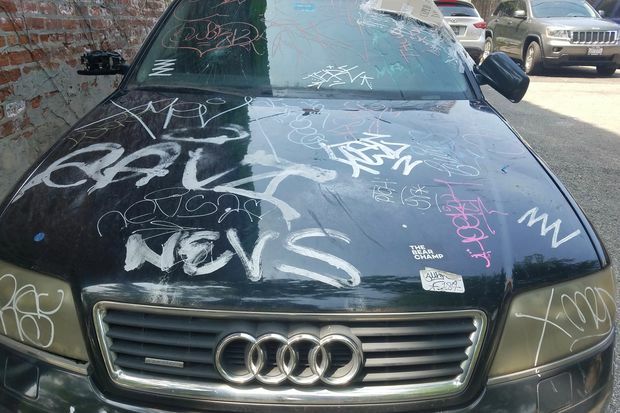 The car's owner, who couldn't be reached for comment, gave money "here and there" to Raimondi, but the amount is not as much as Raimondi says he would have gotten had he been renting the spot to someone else. The lot under the CTA Blue Line "L" tracks has about 12 parking spots. 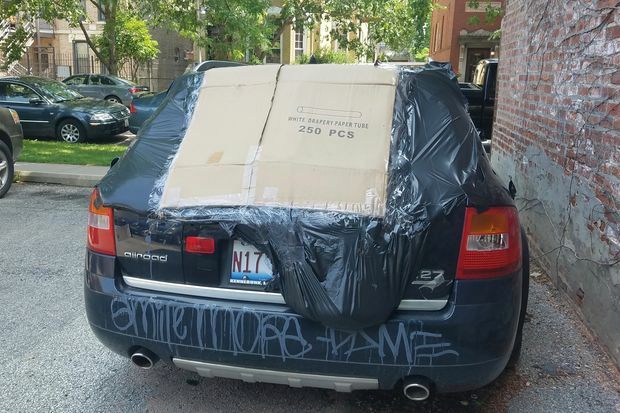 After rocks were thrown through the windows of the car a few months ago by young vandals — the incident was captured on a surveillance video — Raimondi used cardboard boxes, garbage bags and duct tape to secure the windows. 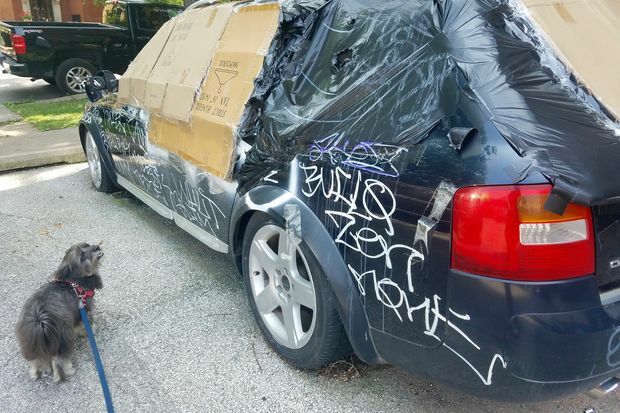 Rearview mirrors on both the driver and passenger sides of the car have been ripped out, and the car's covered in graffiti. At least two tires are flat. Broken windows covered with cardboard, garbage bags and duct tape.